March 30, 2019 — The Massacre Rim Wilderness Study Area in far northern Washoe County, Nevada has been designated as an International Dark Sky Sanctuary, only the seventh place in the world with the elusive designation. The new recognition will also benefit the economy of Surprise Valley and the small California communities that are gateways to the Massacre Rim WSA. 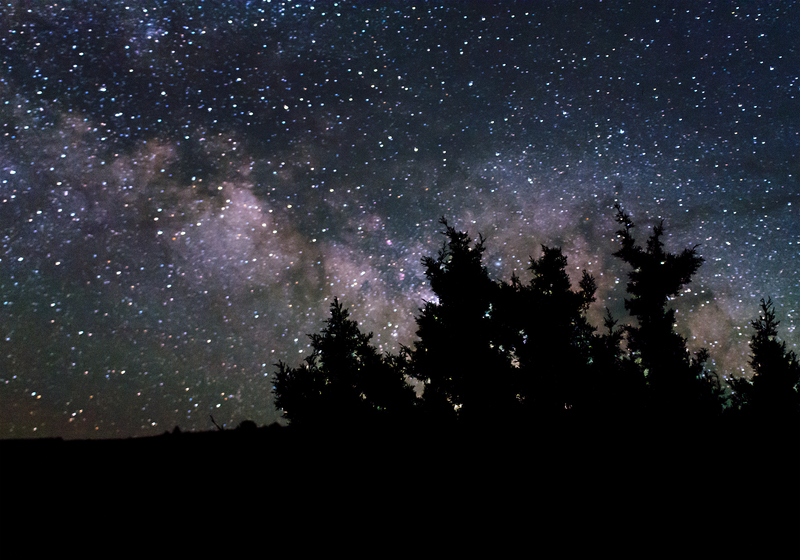 Public support was evident last summer when the BLM initiated a program to promote dark sky appreciation. Cedarville restaurants hosted free events including an astronomy and astrophotography presentation, nocturnal wildlife hike, trivia night, and a painting class. According to a 2016 National Geographic article, 80 percent of Americans cannot even see the Milky Way anymore due to light pollution. Researchers worry that humans around the globe are losing appreciation of the scientific, philosophical, and spiritual benefits of appreciating a dark sky blanketed by stars. The 101,000-acre Massacre Rim WSA is 150 miles north of Reno and 160 miles east ofRedding, Calif. It is nearly 100 miles north of Gerlach Nev. featured in writer Oliver Roeder’s “The Darkest Town in America,” a chronicle of his search for the darkest place on the continent. Visitors can reach Massacre Rim via Route 8A heading east out of Cedarville. Nevada State Route 34, a maintained gravel road that intersects 8A just south of Vya, Nev., traverses the western edge of Massacre Rim WSA and offers panoramic views. Interior areas of the WSA are accessible by rugged dirt roads that require a high-clearance four-wheel drive vehicle. With elevations ranging from 5,500 to almost 7,000 ft., the area is dominated by a 1,200-foot escarpment rising abruptly from Long Valley and culminating in a jet-black, basalt rim. The area is rich in wildlife, including pronghorn, desert bighorn sheep, greater sage-grouse and birds of prey. The wide-open vistas offer expansive and unobstructed views of the night sky. The Massacre Rim Dark Sky Sanctuary will now be added to the short list that includes three other sanctuaries in the United States, one each in New Mexico, Texas, and Utah, and three international locations. To gain designation, proposed sanctuaries must meet a strict set of standards and successfully complete a rigorous application and review process. Founded in 1984, Friends of Nevada Wilderness has helped protect over 3.4 million acres of Nevada’s wild lands by leading efforts in the expansion or designation of all 70 Wilderness areas in the state. Over the past thirty-two years, the Wilderness Stewardship Volunteer Program has generated over $1,500,000 of in-kind services to benefit Nevada’s public lands. For more information, visit http://www.nevadawilderness.org/.